Regardless of seat size, riding discipline, or the degree — or even truth — of the body issues with which they struggle, the scars on female self-image in our society run deep and wide. 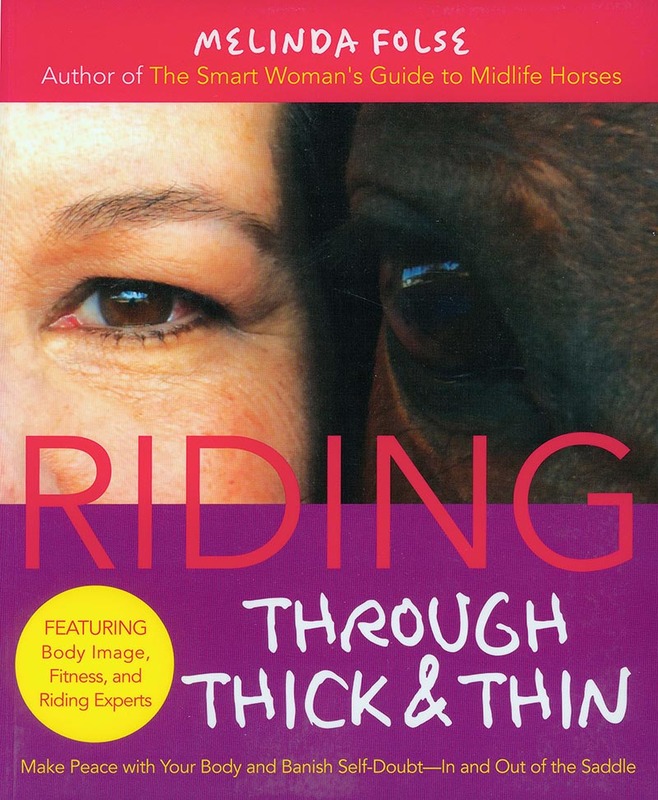 So with the humor and big-sisterly swagger that readers and reviewers have come to love, Melinda Folse, author of bestseller The Smart Woman’s Guide to Midlife Horses, has decided to step in with a delightful, insightful, fulfilling new book. Riding Through Thick and Thin delves to the bottom of the issues that have long held women hostage, bringing together experts, research, resources, and stories to encourage, inspire, and empower. Readers will find some answers that may surprise them: Believe it or not, this is not about losing weight or getting fit (although if that’s a point of interest, there’s a section packed with helpful tools and ideas). This book is more about what’s going on in every woman’s mind — and it taps new findings in neuroscience to reveal that permanent change to deeply ingrained body image issues is not only possible, but it may be much easier than we think.